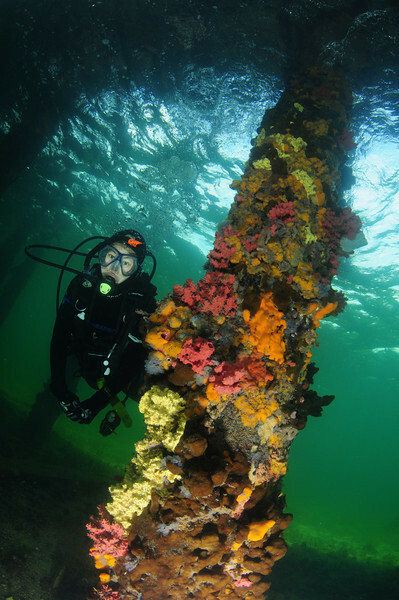 Two hours from Adelaide, Australia is a small, colorful dive site - Edithburgh Jetty. 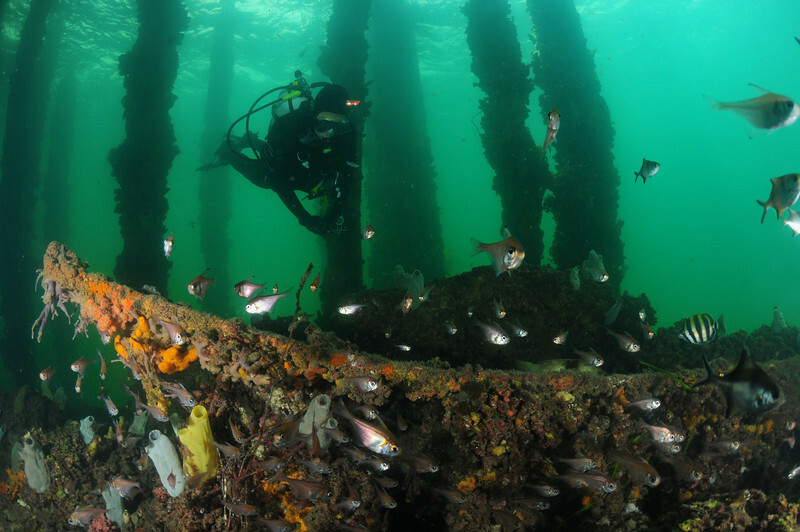 Edithburgh jetty is a small site that packs a large punch, perfect for underwater photography. 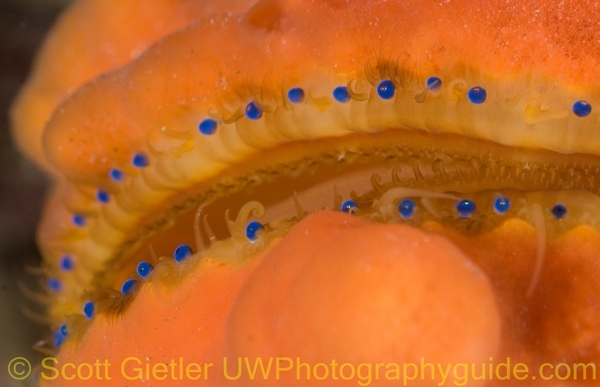 It has some of the beautifully colored pier pilings I've ever seen, completely colored with sponges and tunicates. 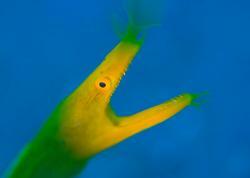 It is also home to the famous Leafy Sea Dragon. Diving Edithburgh jetty is simple, you walk down the jetty and climb down the stairs into the shallow water. 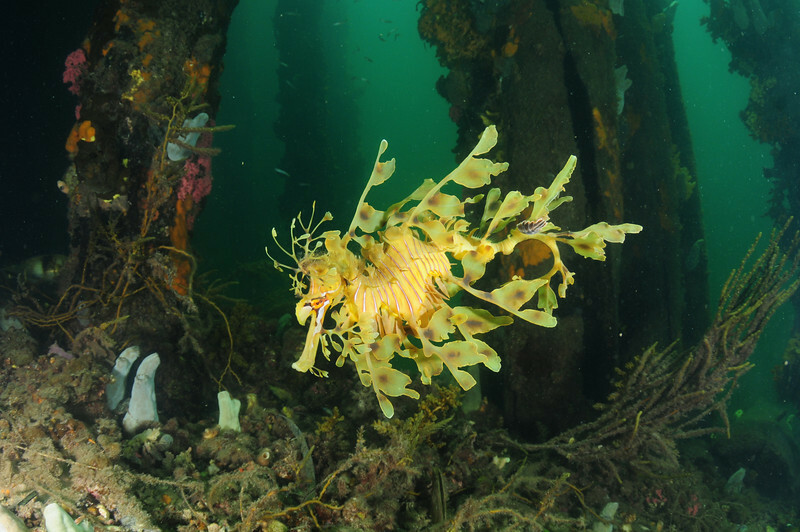 Edithburgh Jetty has many seahorses, octopus, rays, leafy sea dragons, and occasionally port jackson sharks. 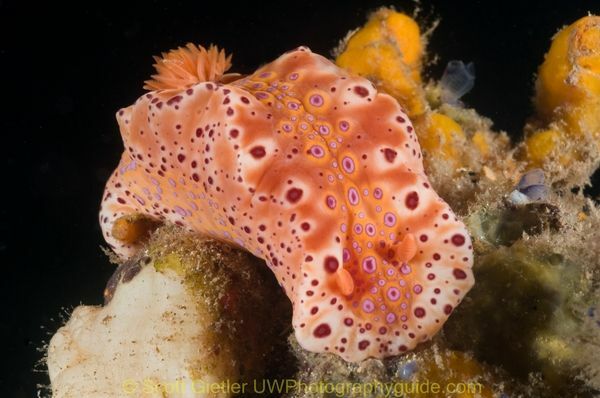 There are many nudibranchs species crawling around, and many species of fish. 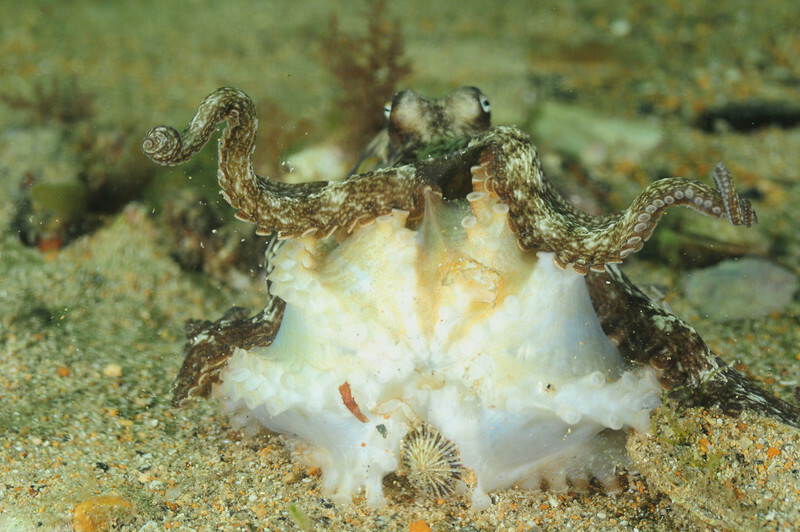 At night, if you are lucky you will see the famous Pajama squid. 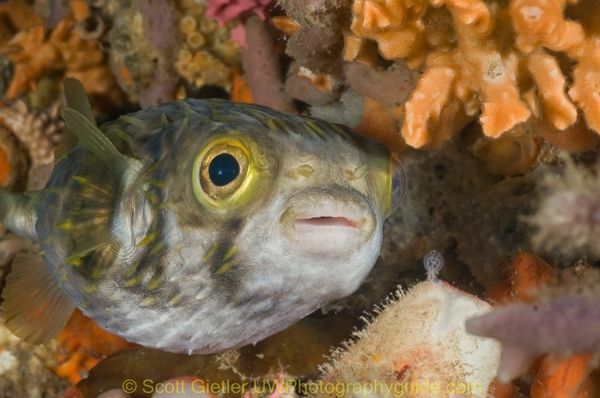 There are also a good number of colorful juvenile fish. 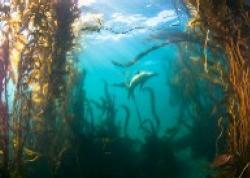 Seahorses are found in 10-15 meters of water to the left of the pier, but they are small and can be difficult to find. 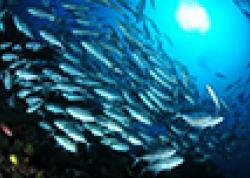 Use a wide angle lens with the schools of fish. Get close, shoot up, and carefully set your shutter speed to get the desired background exposure. There's a large number of fish species under the pier - take time to learn the species, and their behavior, and then try out some fish photography. Edithburgh jetty lies 2 hours drive from Adelaide on the Yorke peninsula, to the west across the bay. It's pretty isolated out there so make sure you have air fills or a place to get fills, there is occassional a compressor nearby but check with the local dive shops first.